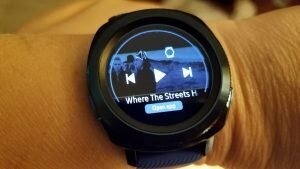 Last year most were expecting the Samsung Gear S4 to be released but instead we got the Samsung Gear Sport which is a watch that is a little more affordably priced, without a LTE version, and a speaker. I think the number one question I kept seeing over and over again when the Gear Sport was released was whether it had a speaker because you kinda need it for Bluetooth phone calls but nope it didn’t have one and b.t.w. I wish it did. A speaker also comes in handy when you’re using navigational apps or various fitness apps that provide voice coaching. 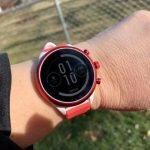 The Gear Sport is still a great smartwatch and fitness tracker but dang I wish it had a speaker. Yes, you can pair it with Bluetooth headphones but that’s not always practical. 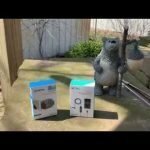 This year we are getting an upgrade to the S3 but it isn’t called the S4. 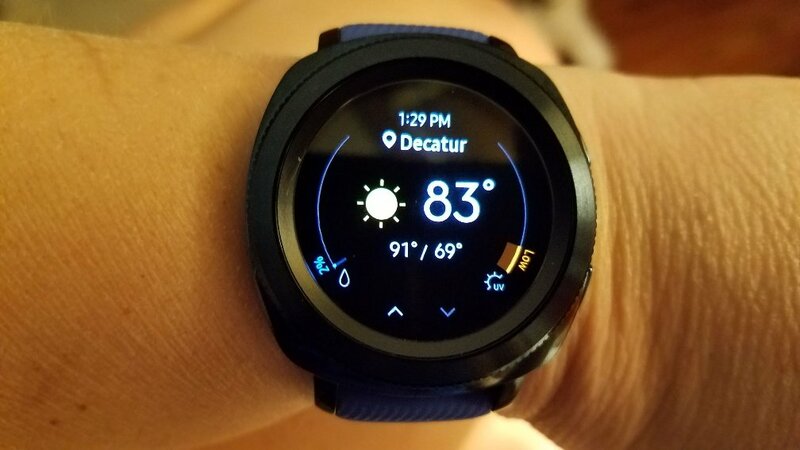 Instead it has been renamed as the Galaxy Watch. This goes along with Samsung’s flagship Galaxy smartphone lineup. 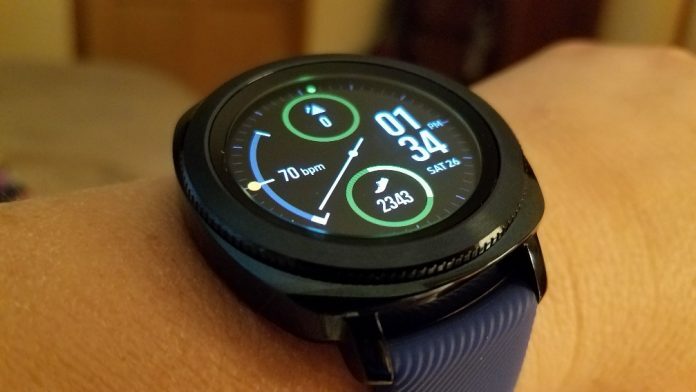 There was a good rumor going around that the Galaxy Watch would be switching to Wear OS but apparently some more leaks revealed by ZDNet have squashed that rumor and personally I’m happy that they’re sticking with Tizen for several reasons. 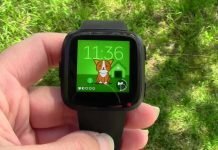 One, it means that app development will continue for previous Samsung smartwatches running Tizen. I want to be able to wear my Gear Sport for a long time. Secondly, Tizen works so well with that rotating bezel Samsung’s smartwatches are known for. 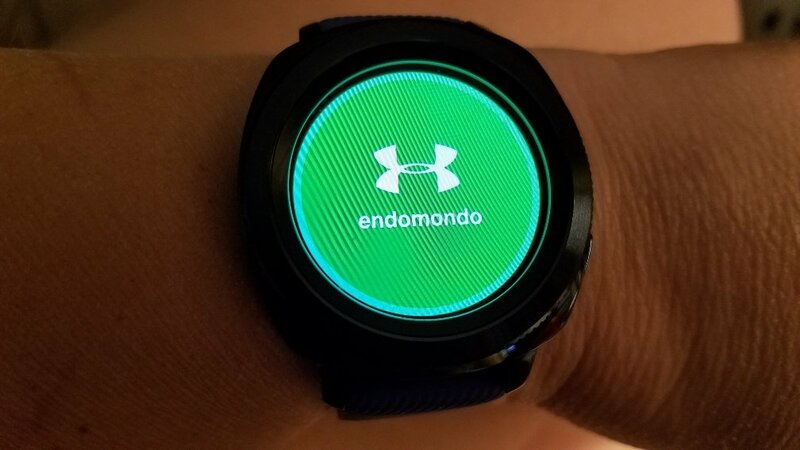 Thirdly, Wear OS is one of the blandest operating systems on a smartwatch with the least intuitive menu system I’ve ever used. Yes, it supports a lot of apps, Google Maps, and Google Assistant which are compelling reasons to switch but jeesh where’s the easily accessible widgets like we have on Tizen? I’d like to be able to swipe left or right on a screen and get to my favorite apps and widgets, not change a watch face a hundred times a day. 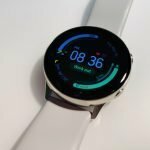 Even Ticwear on the Ticwatch 2 from Mobvoi was much better than the Wear OS interface. 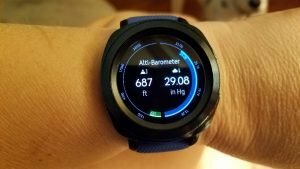 I felt like the Ticwatch was almost downgraded when the switch was made to Android Wear (Wear OS) even though I had access to so many more apps and all that good Google stuff. 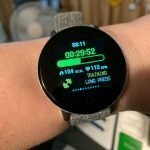 Don’t get me wrong, Wear OS is still cool and I’m enjoying the Ticwatch Pro I’m currently reviewing (and is testing out well so far) but Wear OS could certainly be improved. 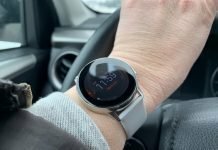 And some good news is that we’re supposed to be seeing a major upgrade to Wear OS sometime this year so I’m hoping it means the interface will be one of those things overhauled. 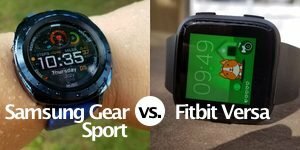 Below are some of these easily accessible widgets on the Gear Sport available on Amazon. And all I have to do is swipe over or use the rotating bezel to get to them instead of going through a long menu. 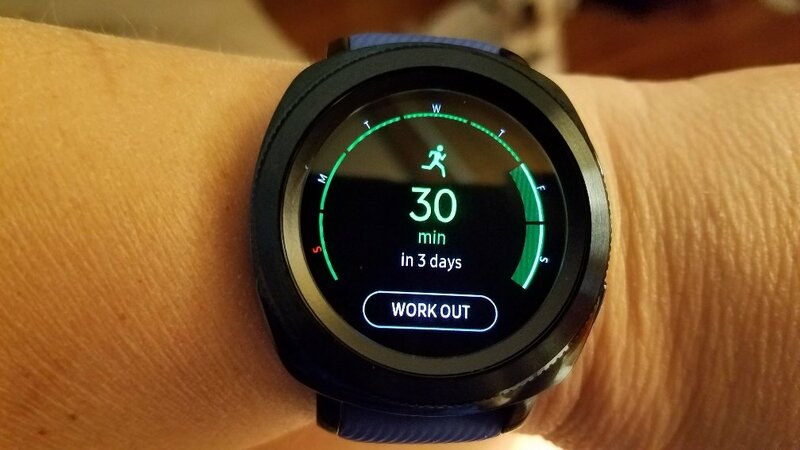 The best thing about Samsung keeping Tizen is that it means there’s still three major competitors in smartwatch development: Apple, Samsung, and Google. It’s always been my opinion that more competition is better and less competition stifles innovation. So the gist of it is Samsung is keep Tizen and I think that’s a good thing. As far as other features on the Galaxy Watch, I think we’ll be seeing blood pressure monitoring included and other health related upgrades which I’m happy about. 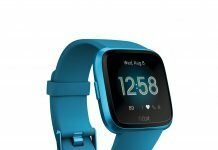 Of course, we always want to see improved battery life and less bugs with every upgrade but I’m excited about fitness trackers going in the direction of being able to detect or manage medical issues. 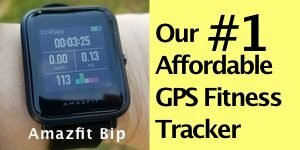 Most quality fitness trackers these days have good optical heart rate sensors. 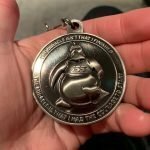 When they first came out they were a bit flaky but pretty much everything I’ve reviewed over the past 8 months or so from major brands has been testing out really well. That didn’t used to be the case. Beyond that, it looks like the Galaxy Watch will come in two different sizes which I’m assuming will mean that one will accommodate smaller wrists (women) or those that just don’t want to wear a ginormous watch. At any rate, we’ll be learning everything about the Galaxy Watch on August 9th and will go on sale August 24th with pre-orders accepted beginning August 14th according to ZDNet.